In this tour of 4 Night and 5 days you will be covering the Dwarika, Porbandar and somnath.This is perfect tour package for those who are religious and follower of Mahatma Gandhi. 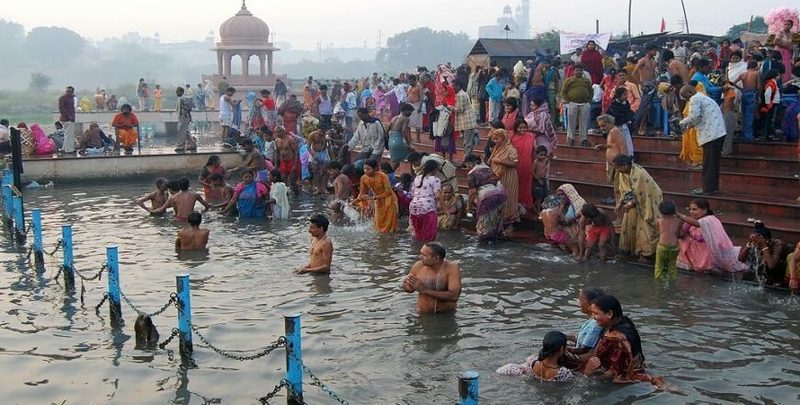 You will be visiting Dwarkadeesh Temple, Nageshwar Jyotirling, birth place of Mahatma Gandhi and Sudama(Friend of Lord Krishna), Somnath Temple and many more, you will also get chance to take holi dip in Gomti River. Arrive at Ahmedabad, later proceed to Dwarka. Dwarka is one of the foremost Chardham four sacred Hindu pilgrimage sites, and is one of the SaptaPuri seven most ancient religious cities in the country, on arrival check in to the hotel. Balance day at leisure, overnight stay at hotel. Today morning after breakfast proceed to visit Dwarkadeesh Temple. Take a holy dip in Gomti river, later leave to visit Nageshwar Jyotirling - One of the 12 Jyotirlingam of Shiva, Gopi Talav, Bet Dwarka (By Ferry – at own cost), and on way back do visit Rukmani Temple, evening visit other temples on coastal area, attend evening aarti at Dwarkadish temple, overnight stay at the hotel. Today morning after breakfast check out from the hotel & depart to Porbandar (110km/2hrs). Perhaps best known for being the birthplace of Mahatma Gandhi and Sudama(friend of Lord Krishna). It’s also known as Sudamapuri. At Porbandar visit KirtiMandir – the place where Gandhiji was born and Sudama Temple – The only Sudama Temple in the world and Porbandar Chowpatty, Huzoor Palace, Tara Mandir (Nehru Planetarium), Shri Hari Mandir (Sandipani Vidyaniketan), Gaytri Mandir. Later proceed to Somnath (130km/2.5hrs). Somnath Tample - is the first among the twelve Jyotirlinga shrines of the god Shiva. Balance day at leisure, overnight stay at hotel. Today after breakfast proceed to visit BhalkaTirth, Triveni Sagam, Geeta Mandir, Chopati & Somnath Temple. In the evening attend Aarti and later watch light and Sound show run by Gujarat Tourism, overnight stay at the hotel.